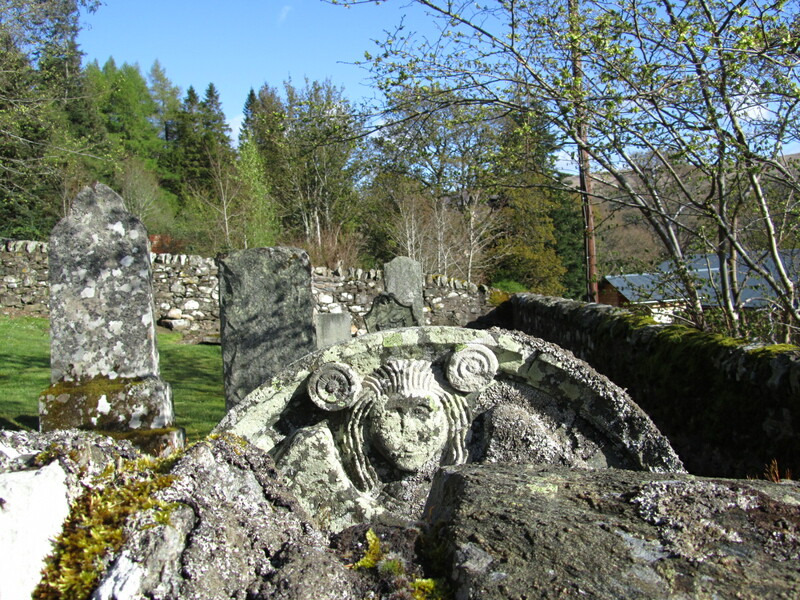 Fearnan’s burial ground, known as Cladh-Na-Sroine, dates from the 16th century and was originally encircled by the old village of Stronfearnan. It is all that remains of the old village, which was demolished at the end of the 18th century. Although the earliest inscription on a gravestone is 1778, there is a much older stone, a recumbent cross-incised stone, that dates from the early Christian era. 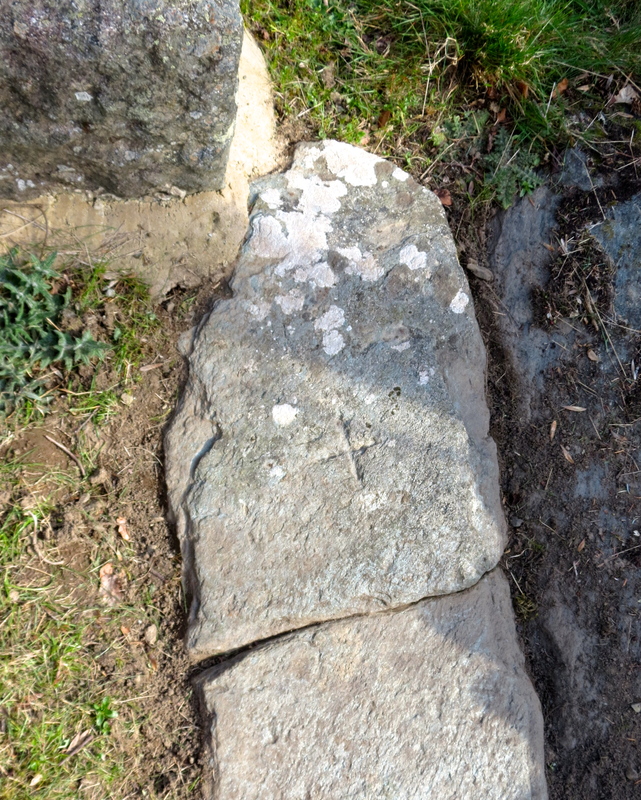 Two staff members from the Royal Commission on the Ancient and Historical Monuments of Scotland were in Fearnan recently to survey and record both this stone and the Baptismal Font – also from the early Christian era. 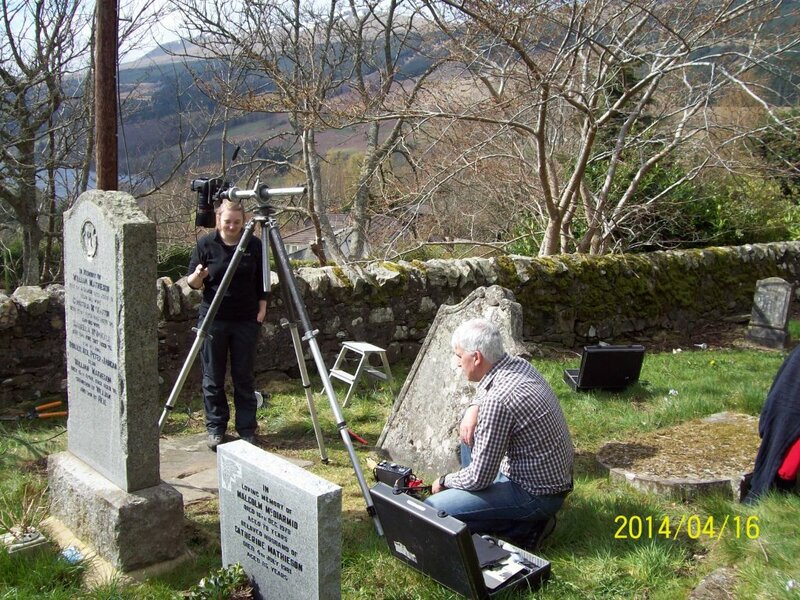 Christopher Rowley was quick off the mark and managed to capture this great photograph of them at work.